At the start of 2019, Jacob and I made a list of the destinations we want to visit this year. India made the top, as we’ve been intrigued to go for the longest. After researching the best month to visit based on weather, we decided on either March or November. The middle of the year sees much more extreme temperatures and monsoon season – neither of which we wanted to deal with! One of the main reasons we hadn’t made it to India yet was because I was a bit daunted by planning a trip there. There are so many places to see, but the information I found online to plan an India itinerary is lacking. Each India post I found either covered only the most tourist-y, ‘must-see’ spots in India’s Golden Triangle (Delhi-Agra-Jaipur), or very detailed information for off-the-beaten path destinations. Since this was our first trip to India, I wanted a nice balance of both for three weeks there. We originally decided on going in November so that I’d have a bit more time to research and plan our trip. 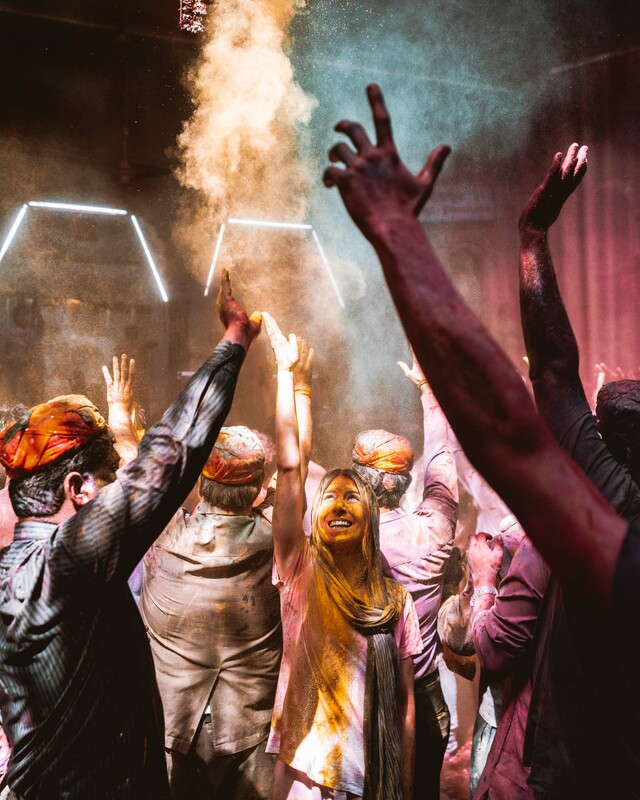 But as things go, a week after making this decision we found out there was a conference in southern India that put us there right in time for Holi Festival. 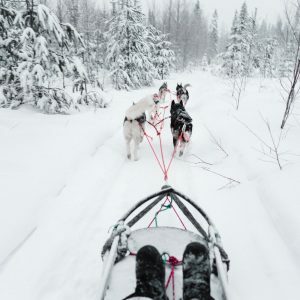 So, the trip was on – and I had one month to plan it! We kicked off our trip in Bangalore, specifically for the conference. This is India’s tech hub, and to be honest we didn’t have much time at all to explore the city – though I’ve heard it has some beautiful gardens and palaces. The true start to our trip and our first stop on India’s Golden Triangle. Most people fly in here and jet off straight to Agra, but we made the most of our time. 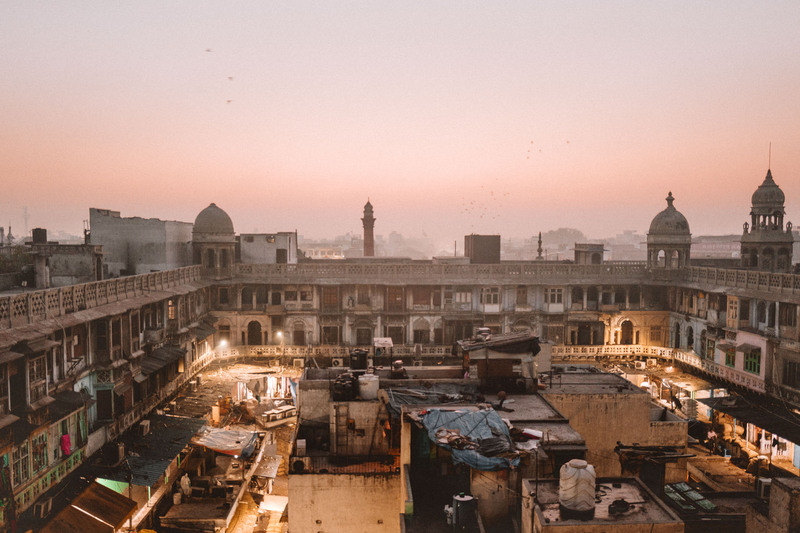 My favorite part about Delhi was watching it come to life in the morning from the Old Delhi Spice Market, and Agrasen Ki Baoli (an ancient step well). After lots of research about the best cities to experience Holi, I settled on the sacred twin cities of Vrindavan and Mathura. Holi celebrations are the most traditional here as it’s the birthplace of the hindu diety Lord Krishna. There are local events during the week leading up to the official Holi day, and it’s where Phoolon Wali Holi (Flower Holi) takes place, a ceremony in which locals throw thousands of flowers in the air. We only spent one night in Agra. I’d read that there isn’t much to see other than the Taj Mahal and Agra Fort, and I didn’t feel like we needed more time. For sunset we explored the river next to the Taj Mahal, and then made our way to the entrance by 5am to be the first in line to see the Taj Mahal. Otherwise known as ‘The Pink City‘, Jaipur has gained a lot of popularity recently for its salmon pink buildings and walls. There is lots to see here – the city has over 4,000 temples! Our favorite spots were the lookout over the Amber Fort and a series of temples surrounding the Galtaji (Monkey Temple). Though we enjoyed our time, we found it to be the most touristic city, and felt the attitude towards foreigners was less pleasant than other parts of the country. Udaipur is a one hour flight from Jaipur, and I’m so glad we added this stop to our itinerary. Udaipur is the ‘City of Lakes’, and the center is much more walkable than all the cities I listed above. 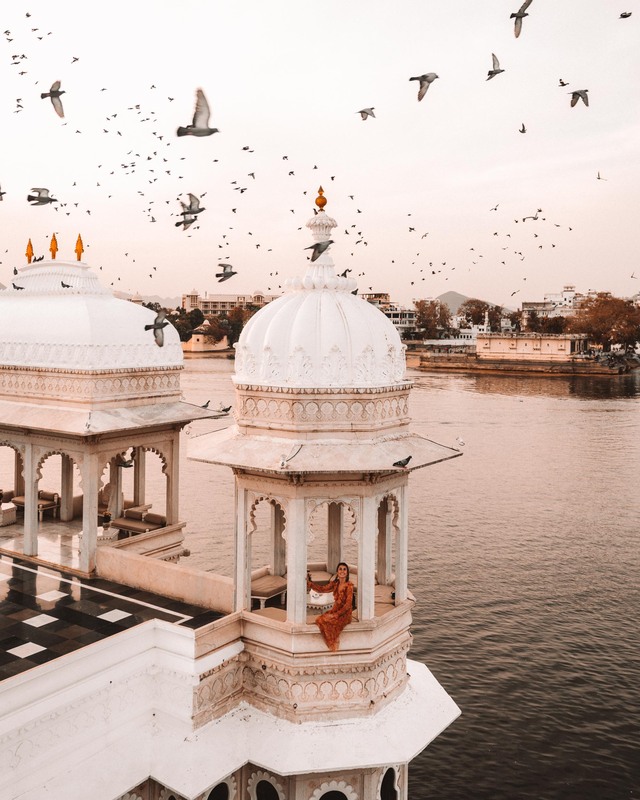 We loved staying in a local Haveli (restored mansion turned hotel) overlooking the lake, the infamous Taj Lake Palace, and visiting the City Palace. Overall, it was more affordable than the other cities since the majority of tourists stick within the Delhi-Agra-Jaipur circuit. Our last stop of the trip was a safari in Bandhavgarh, India. We almost didn’t make it here, and our trip wouldn’t have been the same without it. From experiencing the rural towns, to seeing wildlife (including our first tiger! ), to the best food we had on our entire trip, I can’t recommend it enough. It’s the best way to decompress from the chaotic cities of India and leave with a completely different impression. Only have 10 days? Follow the same itinerary above and drop the safari. Only have 1 week? Drop the visit to Udaipur and the safari. 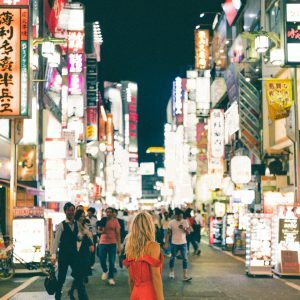 Is India safe to visit as a woman? Being with Jacob allowed me to feel more comfortable traveling through India. I personally would not travel here solo. The main thing to remember is that India is quite large, so speaking generally about safety concerns is difficult. My comfort level was very different in Jaipur (which is well-known as a tourist destination due to its close proximity to the Taj Mahal) versus Vrindavan and Mathura for Holi festival (which can get exceptionally crazy as men drastically outnumber women in the streets and crowds are known for getting aggressive). If in doubt, consider hiring a local guide – which is what we did in Vrindavan and Mathura. What time of year is best to visit India? The temperatures are more mild and dry from late October to early April. During the start of our trip (early March), temperatures stayed around 80 degrees Fahrenheit. By the time we left in April, daily temperatures had gone up to the high 90’s and low 100’s. What was your favorite city in India? My favorite city was Udaipur. Of all the cities we visited, it felt the most walkable and the least chaotic. I loved the winding side streets and looking out over the water at night. It was also way less touristy than Jaipur and in general, more affordable. That being said, our safari might have been my favorite part of our trip. How long do I need for a trip to India? India is so vast. This is so tough to answer because it’s the equivalent of asking someone how long you need to visit the western US! You can get a taste of India in a week. 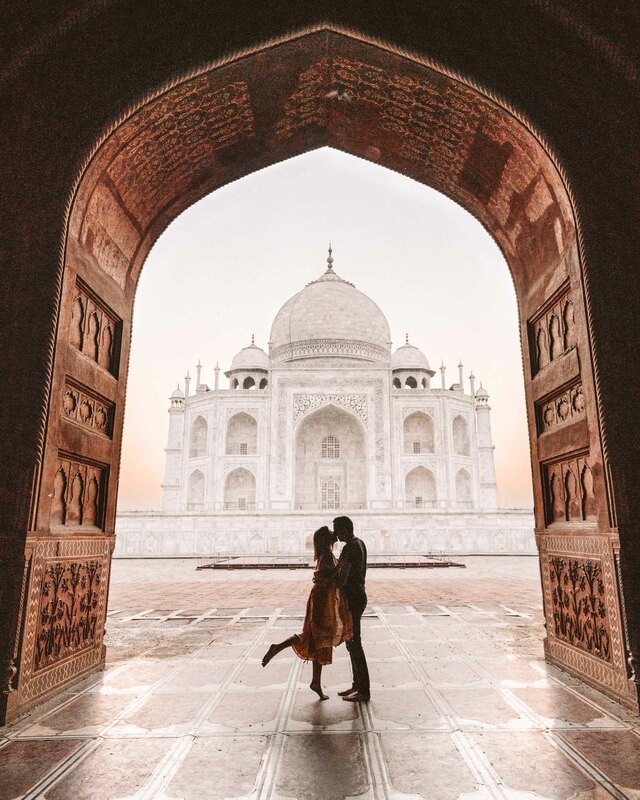 However, two weeks is the sweet spot to experience the Golden Triangle including the Taj Mahal (Delhi-Agra-Jaipur) combined with a couple other stops. Keep in mind that you will be moving around quite a bit. What’s the best way to get around India? Personally, I found this to be the hardest part to planning our trip. We flew into Delhi, took a train to Mathura, a tuk tuk to Vrindavan, a car to Agra, another car to Jaipur, a flight to Udaipur, and another flight to Bandhavgarh before flying back to Delhi. Realistically, cars and trains can be arranged after arriving in India. I would recommend purchasing short flights beforehand. Make sure to note distances while planning your trip. Looks like a good itinerary! 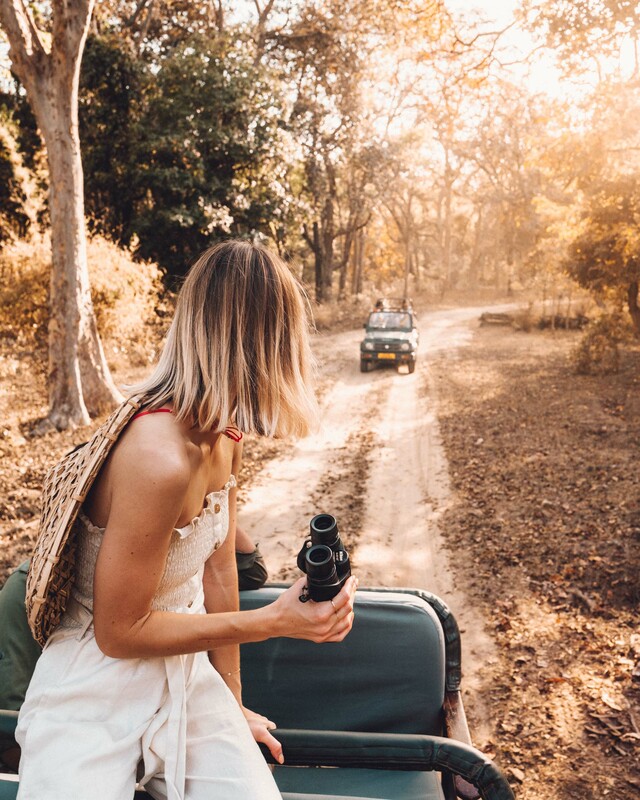 Hey Selena– thanks for posting and love the safari idea. How did you find your local guide? Happy to see that you that you visited our soil. However, if you do have an other trip planned. Please do come to Southern part of India. Losse yourself into the Backwaters of Kerala, traditions of Madras aka Chennai, Biryani of Hyderabad. Happy to see you visited our soil. However if you do have an other trip planned. Please do come to down south. You will be amazed to losse yourselves into the Backwaters of Kerala, traditions of Madras aka Chennai, Biryani of Hyderabad, also the city of pearls.